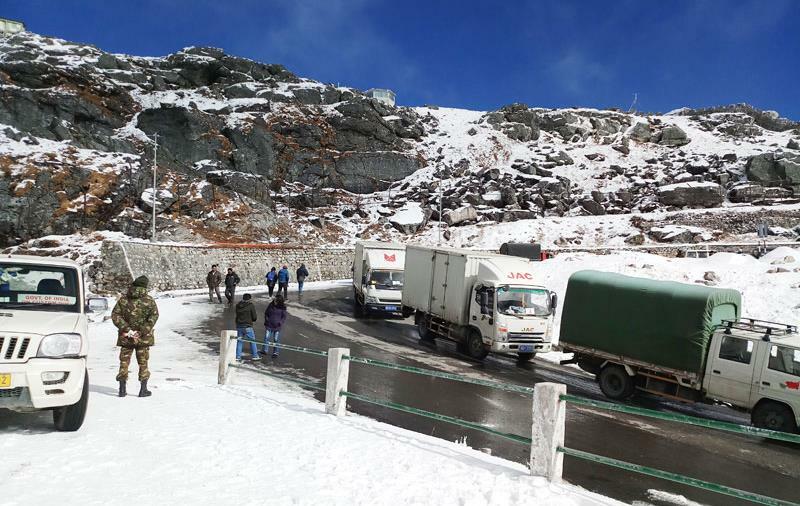 The bilateral trade between India and China through Nathu La border has resumed. General Secretary of the Indo-China Border Traders' Welfare Association, Tenzing Tsepel, said, trading through Nathu La was possible only for two weeks last year due to the Doklam standoff which resulted into losses. He expressed hope of a better transaction this year. A meeting was also held between the representatives of both sides yesterday on how to make this year's trade more efficient and cordial. An official said, Issues like currency exchange, road connectivity and problems due to inclement weather were discussed at the meeting. Trade between India and China through Nathu La border, located at a height of 14,200 feet, resumed in 2006, 44 years after it was closed. The trade, scheduled till 30th November, will take place four days a week - Monday to Thursday. Despite inclement weather in the last few days, the trade opening day was blessed with sunny weather and officers and traders of both the sides reached the Nathula for the resumption of trade for the year 2018. Officials and traders from India and China wished each other a prosperous trade and assured to extend the best possible help to each other for a smooth and peaceful trade. As per the agreement both countries agreed the list of items to 36 as export items and 20 as import items.